Wendell Richard "Mailman" Lanford was born in Spartanburg on August 23, 1940 to the late Hugh Thomas Lanford and Katherine Edwards Lanford. On September 4, 2018, Richard went home to be with his Lord Jesus Christ. He is survived by his devoted wife of 58 years, Faye Pruitt Lanford of Lyman who never left his side throughout the battle that ended his life on earth. Also surviving is his daughter, Christine Lanford Hall and her husband, Russell Hall of Campobello, SC along with the delight of Richard's heart, his granddaughter Hannah Grace Hall. His sister, Kathy Lanford Thomas (Bobby Thomas) also survives along with many nieces and nephews. He was predeceased by three brothers, Bobby Lanford, Hugh Lanford and Billy Lanford. Richard's work ethic was impeccable spending 13 years at Lyman Printing and Finishing; then 29 years of faithful service to the Lyman Post Office where he was affectionately known as "Mailman" to all his fellow citizens. 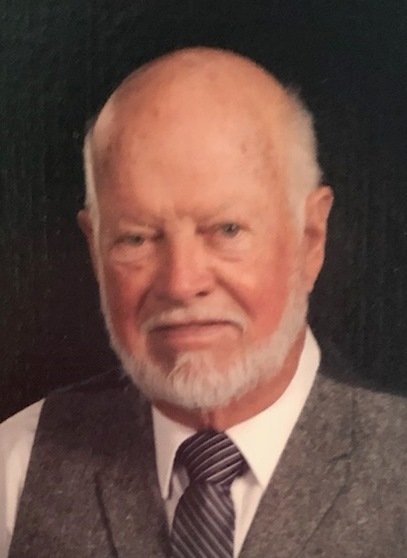 His commitment to his fellow man included years as a Lyman Volunteer Fireman; he served two terms on the Lyman Town Council; and Richard was always busy helping anyone in need. Quietly, Richard began one Christmas to change the lives of needy children. He and Faye sponsored a child on the District 5 Ministries Angel Tree at their church, Wellford Baptist. The sponsored child had asked for a bicycle and that left Richard wondering how many would wake up on Christmas morning without their wished-for bike. God planted a passion in Richard's heart to see that every child in the District 5 area who wanted a bicycle would indeed get one. In the following years, Richard purchased used bicycles no matter what condition, spare parts, tires and refinishing supplies. Rebuilding and giving each a shiny new paint job, Richard single handedly restored and donated more than 400 bicycles for children to be blessed on Christmas. Born the son of one of the first race car drivers at Daytona Beach, Richard had other passions to go with his kind heart including being a race car driver himself. Also, he passionately collected and restored antique cars while increasing his circle of friends far beyond Lyman sharing his light of friendship, faithfulness, and caring to all he met. The family is so grateful to Richard's wonderful oncologist, Dr. Stephen Dyar; Jewell Wilson, his nurse navigator; Joe Miller, the valet attendant along with the entire staff of St. Francis Cancer Center for the love and support given Richard and all the family. Deep gratitude is due Richard's dear friends Gene Burrell, Richard Lester, and Tim Haynes for their daily love and support. To the Wellford Baptist Church family and many friends who joined together with our hearts in faith, your love and prayers carried Richard and the entire family through this journey. The family invites all family and friends who have antique cars to drive them to the celebration of Richard's life. Friends will be received on Thursday, September 6, 2018 at Wellford Baptist Church from 2:00-3:00pm. Funeral services will follow at the church conducted by Dr. Carl Poole, Reverend Craig Guy and Reverend Larry Armstrong. Burial will follow at Evergreen Memorial Gardens, Landrum, SC. Flowers are accepted or in lieu of flowers, the family requests that memorials be made to the Wellford Baptist Church Playground Fund, 235 Syphrit Road, Wellford, SC 29385.